Harriet I bet you didn’t know risotto was my favorite food…well it is…I could eat it always and forever. It is sort of the love of my life… I can never make it…because I just stand peering over the rice and devouring it. I absolutely LOVE risotto and this recipe looks incredible!!! I’m also starting to love asparagus more, so I can’t wait to give this dish a try! 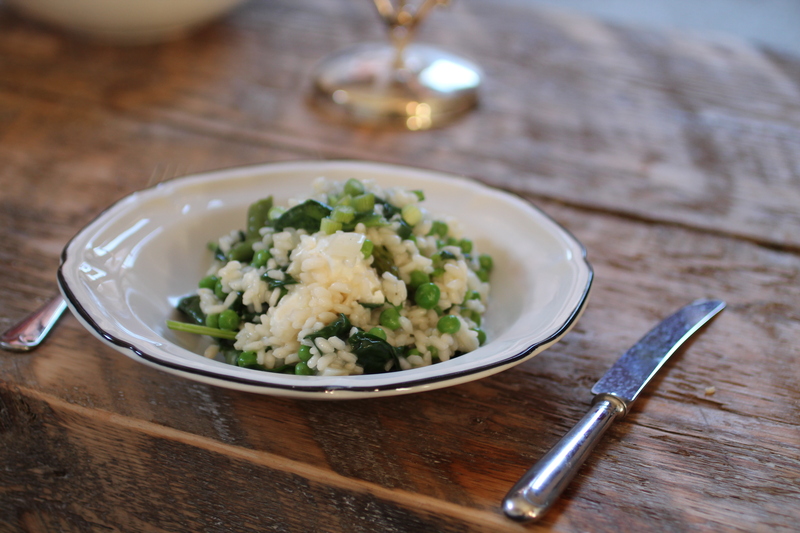 Thats a beautiful bowl of risotto, love all of those wonderful Spring vegetables.. Great seasonal dish. 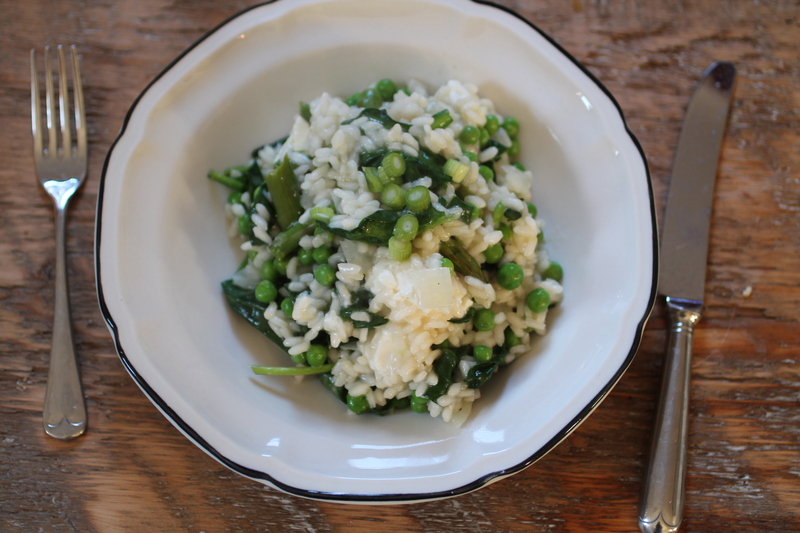 Love fresh spring vegetables in risotto… but I must admit, I’ve never considered putting feta cheese in it. Sounds like a lovely idea! I had a summer “risotto” for dinner last night too, haha! Instead of rice, I blitzed up a head of cauliflower until it resembled rice grains and had it with courgette & feta. Yummy! Looking forward to trying this recipe – spinach and feta are a great combination. Looks so delicious! I’ll try it soon! yum! I adore risotto and am always looking for new recipes! This looks super delicious!